Two issues are immediately raised in every downtown I visit wrestling with revitalization issues. 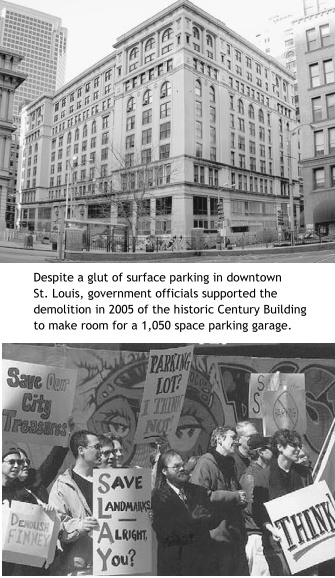 "We don't have enough parking" comes forth like the chorus in the opening of a Greek play. "What we need is The Gap" is the next most common refrain in this mall-envy era. These assumptions are so pervasive that they can be roadblocks to confronting more substantive issues of downtown rejuvenation. They can also interfere with thinking about the genuinely, innovative solutions necessary to either jumpstart downtown revitalization or give a boost to an ongoing rebirth momentum. Amazingly, in many of the downtowns where these assumptions prevail, the actual number of existing parking spaces and how well they are used is often unknown. Worse, downtown merchants and their employees often park in front of their stores or in other choice parking spaces and then complain they lose business because parking space is insufficient. The least-desirable, often-inconvenient spaces are left for the customers everyone pines for. The more fundamental question is rarely asked: What do we need to do to make downtown worth coming to? When a downtown's appeal is strong, people find a way to come. So much about parking is psychological. Isn't it interesting the long distance -- often the equivalent of several blocks -- people will walk across a mall parking lot to get to a destination. Yet in downtowns they want to be able to park at their destination's front door. Experts say plenty of downtown parking exists, if you are willing to pay or walk -- two activities that seem to be an anathema to many Americans. 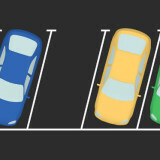 As Marie Witmer, editor of Parking Professional, told Wall Street Journal reporter, Heidi Evans, a few years ago: "People want to park within 17 feet of their destination and are frequently unwilling to either pay for the privilege or use a free, vacant space several blocks away. It's not that there is a shortage of spaces, just a shortage of free spaces where people want them to be." The obsessive desire for adjacent parking results in tragic consequences in too many downtowns. In Catskill, New York, for example, a new county office building is scheduled to be built on Main Street, an important activity-generating use to bring downtown. Catskill is an historic 19th century Hudson River town about two hours north of New York City and 40 minutes from the state capital in Albany. Catskill was designated a National Landmark District in 1982. This is one of many down-at-the-heels towns with a partially torn but still intact downtown core surrounded by compact, walkable neighborhoods with a great variety of housing, from 19th century mansions to small-scale multi-family houses. Evidence of an organic rejuvenation process is already visible. An early approved plan for the new county office building required demolition of three existing buildings with most parking scattered within a three to four minute walk. But then in order to add 17 parking spaces adjacent to the new county building, an additional ten historic buildings (seven listed as contributing structures to Catskill's national register historic district) were scheduled for demolition. What makes this untenable is that ample parking spaces exist in both a public parking site two blocks away and on the street.